Constructed more than a thousand years in the past, the Great Jedi Library of Ossus long stood as a center of learning and knowledge in the Republic. Records suggest that the library once contained countless documents and data detailing civilizations, species, and events that history has now long forgotten. Recent Jedi excavations have rediscovered much of this material, though the true depths of the library's ruins remain unexplored and undocumented. Professional historians and academics often hold the destruction of the Great Library at the hands of the Sith as one of the greatest tragedies in civilized history. It is common for modern libraries throughout the Republic to feature commemorative placards in honor of their destroyed "ancestor", promising to preserve and pass down knowledge freely and widely in order to avoid another such catastrophe. 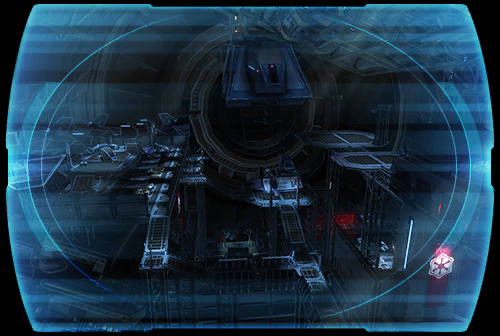 XR-484 acts as the staging point for all Imperial operations on the planet Ossus. It was constructed within a field of starship wreckage on the recommendation of the scouts who first reconnoitered the planet, who correctly assessed that the Jedi are more interested in exploring ancient structures than old crashed ships, ensuring the base could be established without drawing enemy attention. The majority of the ship wreckage around XR-484 is the result of crashes caused by the Cron Supernova centuries ago. However, the remains of newer vessels are also present, suggesting that atmospheric or gravitational conditions somehow result in a higher-than-average distribution of crashed ships in this specific area. Although the members of Raven Squad consistently refer to the base as "the Nest", Darth Malora pointedly refuses to use the term. With the Jedi in tatters after years of war against the Sith and Zakuul, Master Gnost-Dural feared that the order was on the verge of total destruction. To preserve the Jedi and their teachings for the future, he secretly gathered the allies and resources necessary to establish a hidden colony on Ossus, hoping that the planet's obscurity and remoteness would provide ample protection. The colony has flourished beyond even Gnost-Dural's greatest hopes; innovative environmental reclamation techniques have allowed farming and water purification on a planet that otherwise supported little if any life. Perhaps the only major challenge the colony faced before the Sith invasion was the decision to remain out of communications. Although heavily debated by the colonists and Jedi alike, Gnost-Dural ultimately insisted that the colony remain as cut-off from the larger galaxy as possible, and it has remained in total isolation for years.